Federal Ammunition has developed a reputation for service, quality, and innovation that has made them one of the world's most respected names in ammunition. 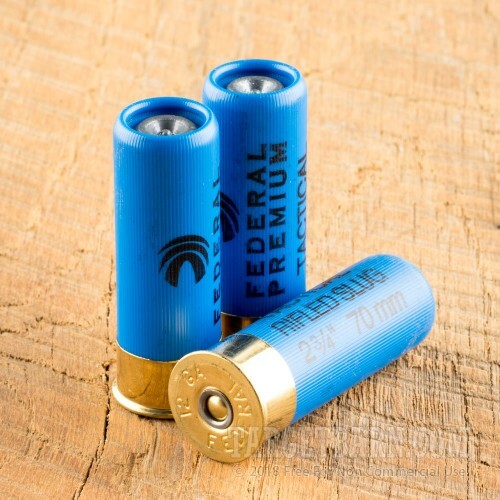 An expert in the science and technology of munitions production, Federal brings cutting-edge performance into their dedicated Law Enforcement line of ammunition. 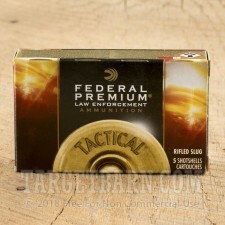 Designed specifically for use by law enforcement officers, these 5 rounds of Federal Tactical Law Enforcement 12 gauge ammunition are also appropriate for civilian home defense and big game hunting. 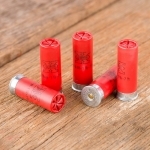 Each shotshell is loaded with a 2 ¾ inch 1-ounce rifled slug for improved accuracy and performance in smooth bore 12 gauge shotguns. The hollow point slug provides massive expansion for major threat-stopping power. 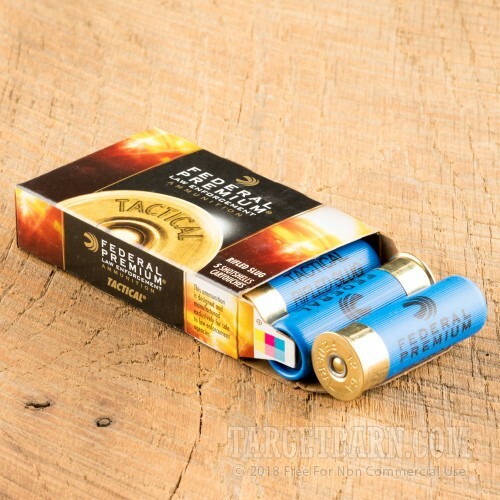 Delivering a muzzle velocity of 1300 feet per second, these shotgun loads are designed to minimize recoil, allowing for faster shot-to-shot recovery and more consistent shooter accuracy. Loaded in bright blue shotshells, these rounds are easy to distinguish from other shotgun ammunition, so there is no risk of load confusion.